Dairy farm incomes are expected to recover in 2017/18 following a ‘dismal few years’, according to figures from Old Mill accountants and Farm Consultancy Group revealed at the South West Dairy Show. In 2016/17, the average cost of production was 3.49ppl above the average milk price with non-milk income meaning the average farm profit was 0.28ppl. With the average milk price expected to be 29ppl efficient businesses ‘should’ be able to generate a profit of about 3ppl. But farmers were warned it was important to continue to focus on becoming more efficient with the main differences between the top and bottom 10 per cent were higher feed, labour and machinery costs. 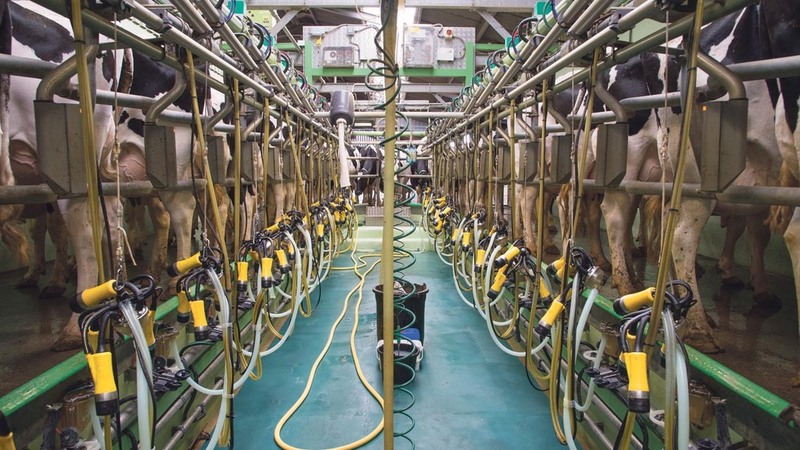 The average 2m litre producer was likely to see profits rise from £5,600 to £62,200 in 2017/18. However, Mike Butler, chairman of the board at Old Mill, warned it would take months, if not years, to repair depleted balance sheets. Producers were also warned not to simply ramp up production as this would create another downward cycle in the future.